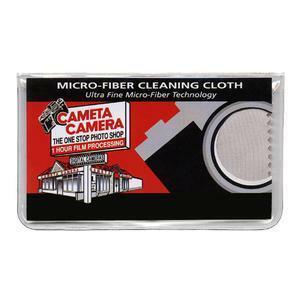 The finest optical cleaner. Period. 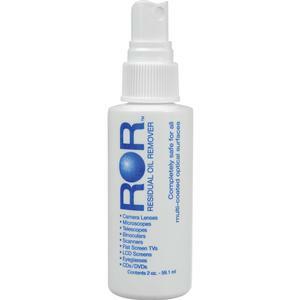 ROR "Residual Oil Remover" Optical Lens Cleaner Spray Bottle (2 oz.) 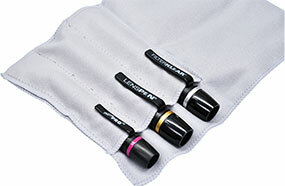 is specifically formulated to emulsify and remove microscopic oil residues, the byproduct of environmental pollution. 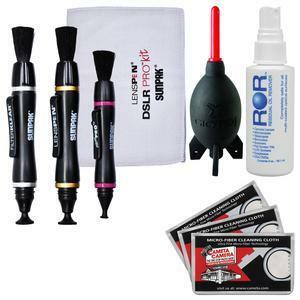 When you clean your optics with ROR, you will see a measurable difference in brightness and clarity. 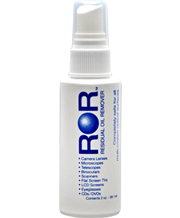 And because ROR removes microscopic oil residues, dust has nothing to adhere to and surfaces stay cleaner longer! 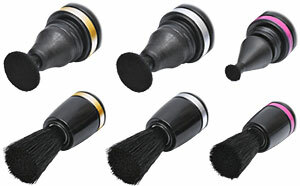 ROR is safe and versatile for all delicate surfaces like camera lenses, telescopes, eyepieces, microscopes, binoculars, gun scopes, multicoated optics, DVDs & CDs, video monitors, laptop screens, computer monitors, eyeglasses, filters, laser optics, flat screen TVs, cell phone screens and digital camera displays. 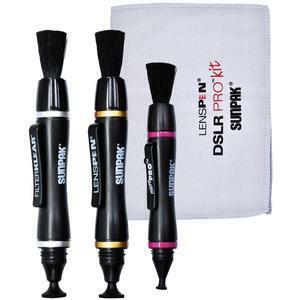 It has been tested and used on everything from multicoated lenses to beryllium-surfaced electrical contacts, and has proven time and time again to be the finest and safest lens cleaning treatment on the market today. 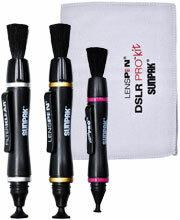 Perfect for camera lenses, binoculars, glasses, HDTVs and more! 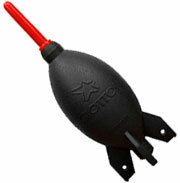 The Rocket-Air is made from natural and environmentally friendly rubber. The super air stream blows off dust particles, even those attracted by static electricity. 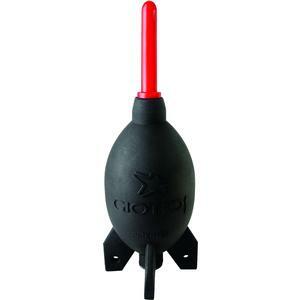 Giotto's patented and unique rocket base design allows the Rocket-Air to stand by itself and prevents accidental blocking of the inlet valve, as well as making it easy to store. The inlet valve prevents back flow from the air tube.